Opening or starting a new business? Find us on Facebook. like our page. Find us on Twitter. Follow us. Only availabel on IOS and Android. Ian is doing what many of us in high quality service business should do. He does his production in an older farm house in an out of way part of Nova Scotia which is but nowhere near any commerce. he does exceptional work: quick, imaginative, offering great initiatives, keeping in mind my big picture for the job, not his. oddly he is very busy with no customers anywhere in view, up or down the small highway . I do work in Paris, New York, Los Angeles and Santa fe and will try to use him for most of those. I have a summer place near (10km) from his place so I discovered his work by accident. Our customers it has been said are the most intelligent, focused ,money conscious people on the planet. They seek us out. Usually due to word of mouth. Some times they come to us with an idea and a budget and leave with a better idea and didn't even graze the budget. But then, we are not sales people. We are graphic designers and printers. Looking for the hard sale. Sorry to disappoint that's not us. Just honest great advice, and a terrific product. Try us your will be glad you did. Are you a sign shop but dont have all the expensive equipment yet? possibly your looking to start your own tshirt empire. Contact us. We can help you. 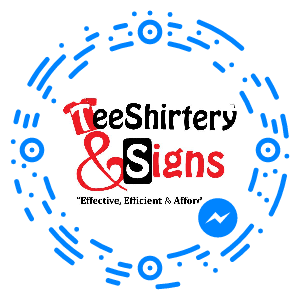 We have helped a number of people start their own tshirt and sign business. We have also helped other sign shops with printing when they don't yet have printers as capable as ours. We are easy to work with and will gladly help in any way we can. Give us a call on 902-728-1833 and we can see how we can start to improve your bottom line.